The What: LG Electronics and Lufthansa Technik AG will jointly develop, produce, and market LG’s innovative OLED displays for commercial airplane cabins. The new venture will be based in Hamburg, Germany, and will commence operation in the first half of 2019. 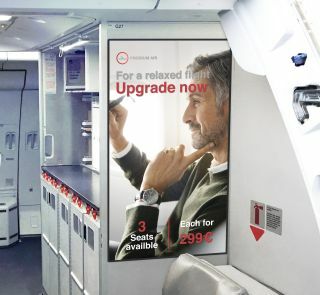 The What Else: The new joint venture will combine LG’s lightweight and flexible OLED display technology with Lufthansa Technik’s aviation business capabilities to create new markets for on-board aircraft applications such as welcome board screens and interior linings. “We are very excited to be joining hands with Lufthansa Technik to expand the reach of LG’s innovative consumer electronic technologies to commercial aircrafts,” said Soon Kwon, president of the LG Business-to-Business Company. The Bottom Line: Closing of the agreement, which was inked last week in Hamburg, is subject to regulatory approval.